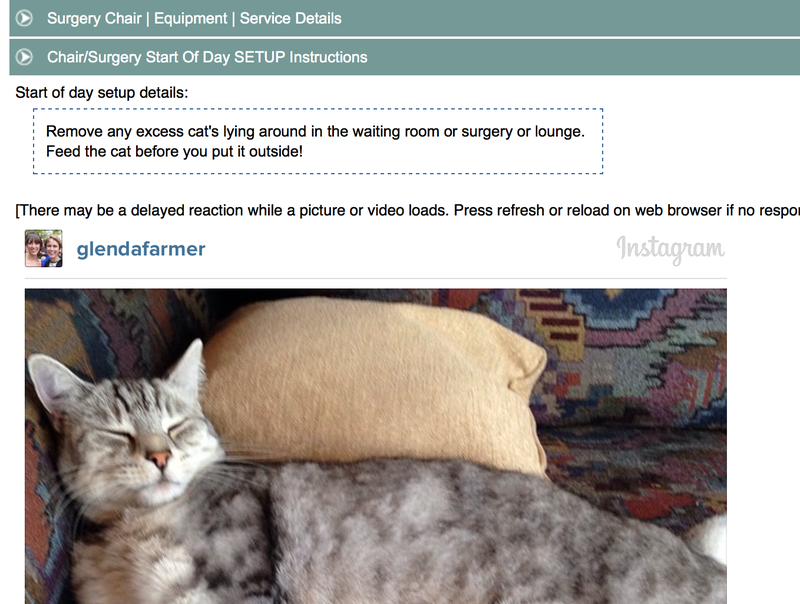 So excited to find that you can actually add instagram photos into any SmartDentist editable area.!! Take lots of pictures and be really SMART! Just an easy cut and paste of the embed code from instagram. In the image shown I have added some text to explain the photo and then the embed code was added so we have a great pictorial version of information. We are going to have a new staff member soon so the staff team are taking lots of photos to help them train and learn.